The 1949 - 1958 Buick Special is a very special car indeed. 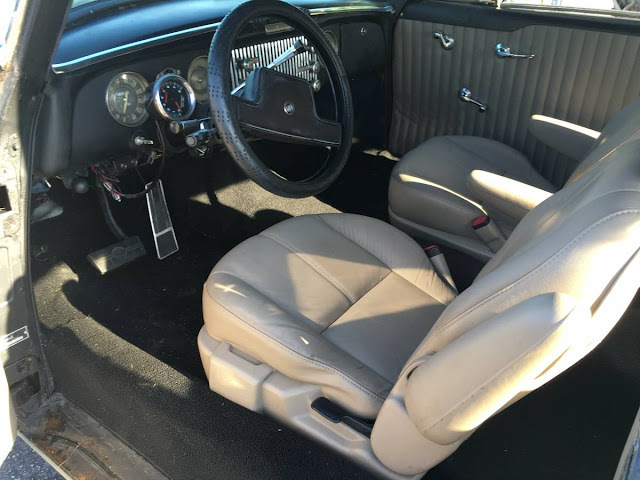 It was the first all new full postwar design from the guys at Buick and it has become emblematic of the era of the big American 2-door hardtop like no other car...(except maybe the '57 Chevy.) 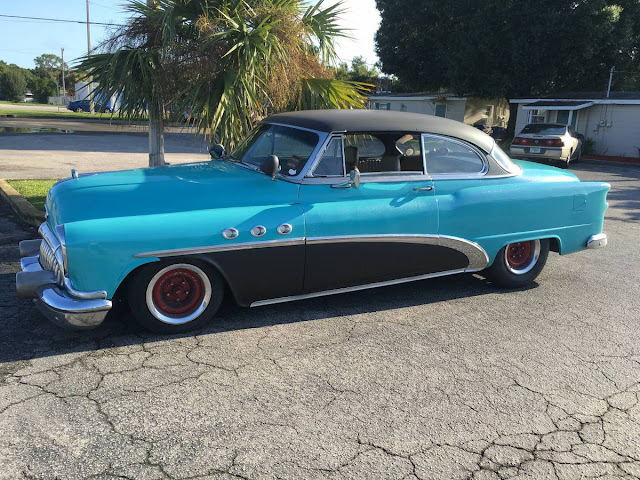 Find this 1953 Buick Special Riviera Coupe offered for $9,500 in Ft Myers, FL via craigslist. Tip from Dascpcu. This is an odd piece of custom machine -- it might look like a '53 Buick, but it rides on a 70s Caprice Classic frame and is equipped with power disc brakes, power steering, and all the 70s amenities you'd want in a '50s cruiser. Sort of the opposite of driving the ugly car with the interior so nice that you forget what it looks like outside. Is this what pimp my ride has come to?